Do you have questions about your garden? Are you feeling overwhelmed and need a plan? Confused about where/how to start your garden? How to solve specific problems? Too many pest and disease issues? Want to design your space more efficiently? Set up a compost or worm farm? Not sure what plants to sow and when in our local climate? Need help with a garden project? My onsite garden consultation is like a private class with your own personal instructor, designed to help you succeed, feel confident and meet your specific needs. Are you feeling overwhelmed and need a plan? Confused about where/how to start your garden? How to solve specific problems? Too many pest and disease issues? My hourly onsite garden consultation service is the perfect solution. Tailored to meet your specific needs. I provide design concepts, tips, techniques and hands-on help. I love helping my clients with one-on-one personalised advice and a shortcut to success. Think of it like a private class. We co-create your garden together to achieve your goals fast! You choose if we spend one hour together – or longer. Suitable for suburban blocks, balcony gardens, retirement villages, communal gardens and small urban properties. What are the Benefits of a Garden Consultation? Avoids costly mistakes and heartache so you create an abundant garden you love. Find out how to improve your soil; integrate edibles into your current garden; which fruit trees and support species are best for your needs; how to prune to improve harvests; how and when to fertilize + much more! Read what a few of my clients have to say. Front garden BEFORE consultation and a hugely productive space just 10 weeks later! What does a Garden Consultation include? You can also use this service for seasonal assistance, planting plans for specific garden projects and onsite coaching or hands-on help in your garden. e.g. I provide advice on timing your planting; setting up warm or cool season crops; container gardens; reinvigorating garden beds; what to plant where; compost and worm farms; pruning; crop rotation; maintenance; propagation; soil testing; trouble shooting pest and disease problems; and much more. Here’s another example of what you can achieve in a short space of time. This is Colin’s garden. At 89, he wanted an easy, low-maintenance food garden to support his health. We started from scratch with simple systems and he was picking produce in just a few weeks. 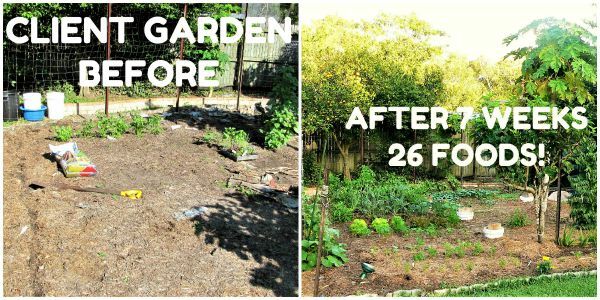 You can start small and build up to your dream garden over time. I can help with a plan and action steps. If Colin can do it, so you can you! Just 7 weeks later – incredible abundance! Can I pay by instalment? Yes, no problem! If you prefer to make a series of payments, please contact me to make arrangements rather than purchasing through this Shop page. Whatever works for you! As a guide on average, a one hour consultation is the minimum time needed for small suburban gardens to help you get started. If you have more than one zone or several projects in mind, more time is likely needed and I’m happy to discuss prior to booking. For large blocks, new garden designs and acreage, I suggest you book an initial 2 hour site visit so we have adequate time to meet your needs. For large acreage or organisations, we may need longer depending on your requirements. Just select the quantity “1”, “2” or “3” during purchase. Available for SE QLD and Sunshine Coast residents only. * Travel included up to 50km round trip, from Palmwoods 4555. Additional cost of 60c/km applies for travel >50km. How does garden coaching work? Downloadable PDF file for your ‘Onsite Garden Consultation‘. Please read this booking information. I provide tips on maximising our time together + details of the process to make it quick, fun and easy. Pre-Visit Questionnaire Form to complete and return. This optimizes our onsite visit time and helps you clarify what you want to achieve. 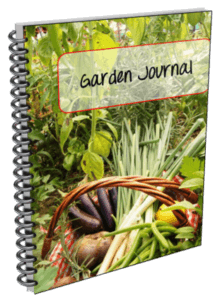 Keeping a journal will help you become an expert in your own garden. 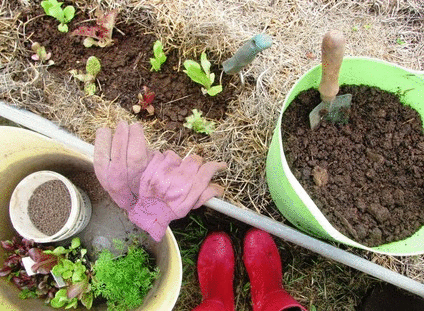 These tools will help you design, plan, plant, maintain and keep records of your garden. A gift you will treasure for years to come. After I receive your Questionnaire, I contact you directly to make a booking at a mutually suitable time. Still have questions prior to purchase? Feel free to email me. Can I purchase your garden consultation service as a gift? Absolutely! GIFT VOUCHERS are available for weddings, Mother’s or Father’s Day, Christmas, birthdays or any special occasion. They also make a unique present for staff. Gift vouchers are available in hard copy and digital formats. Valid for 12 months. “Having recently downsized, Anne’s consultation in my own home has given me the necessary tools and confidence to plan, build and maintain my own gardens and create an outdoor sanctuary. This was, and is, a truly lovely and amazing experience. Anne is an inspiring person. She is very passionate about gardening to be sustainable and healthy, it is hard not to get inspired and excited! The amount of time and the resources given and shared is comprehensive, but fun!…. I am sooooooooo excited and to get going, starting little by little, including my children, my husband is even excited, I thoroughly recommend Anne to give you ideas etc. Thank you Elisabeth for sharing your experience so far. I am really loving working with you and Rajesh and I’m sure the girls will join in with their own little micro gardens soon too. 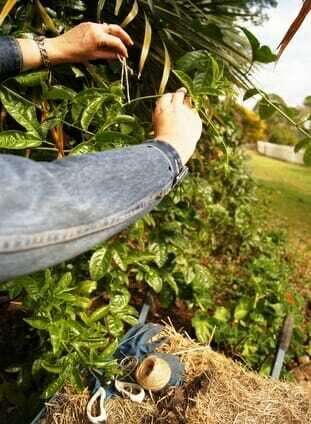 I can envision your back yard in a year from now, following the plan and planted with your fruit trees. With the structural garden elements in place, there will be lots of yummy edibles for your kitchen. Rajesh is going to go ‘shopping’ in the backyard for fresh ingredients and I’m sure the girls will need a basket to go help! What a wonderful gift you are giving to your family. 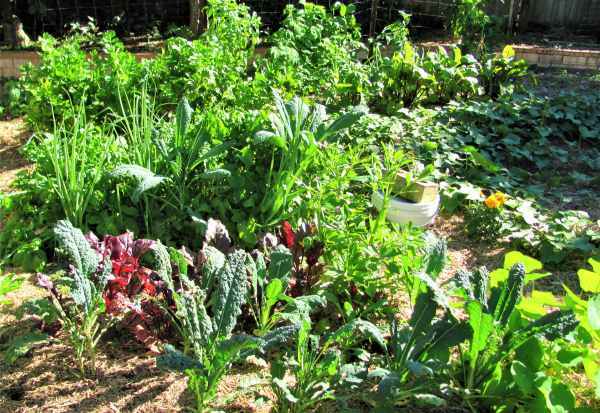 Using your space wisely, I think you’ll be amazed how much enjoyment and food you’ll be producing in a compact garden. Look forward to sharing the journey with you. Wee bit excited too! Great garden consultation – she provided me what my plants are lacking and gave me a step by step action I have to take. Her garden principle is a sustainable method and I love her way of approach. Hi Anne thanks for your very informative extensive consultation you provided the other week.I will definitely recommend you to whoever may need your expertise in the future -thanks again. Anne, Thank you so much for the time and effort in compiling a comprehensive list and overview of my garden of the future. I’m very excited and can’t wait to start implementing the things you have suggested for me. As I’m starting from scratch, it was a daunting task as to where to start and thanks to your suggestions and prioritizing my goals, we are now on track and proceeding slowly bit by bit! Thank you for all of your help and materials, plants and know how. I will certainly follow up with you as I get closer to establishing my first steps! Anne came to our home with great enthusiasm to assist us with our garden. She had practical suggestions of ways we could successfully grow fruit and vegetables in our garden. She has extensive experience establishing edible gardens in the sub tropics. She took into account our plans for our garden and suggested improvements that would better help us to achieve our goals. She also gave us alternative ideas that we hadn’t thought of, all her ideas were achievable and realistic to our situation. In her garden report she gave us ideas on how to improve our garden in manageable stages starting immediately with what we already had. We would thoroughly recommend Anne to anyone who wants to establish or rejuvenate a garden. Anne’s consultancy is most professional and yet goes far beyond that. Her pre and post emails are most helpful and encouraging. Our soil is terrible and Anne’s advice on the necessary improvements have made us re-think our garden. In particular, we now realise the active nature of composting. We’ve long composted, but not with the vigour required. Anne has made us understand how we have to be much more proactive. Too early yet to report on growing success, but we feel some degree of confidence. Anne’s report has so much in it, it needs to be read many times and is our reference guide. We would recommend a consultation as a good investment. After hearing Anne talk at the Nambour Garden Expo this year I put my name down for a Garden Consultation and I’m so glad I did. I knew I had the basics for a productive garden but just kept feeling overwhelmed and distracted by all the jobs I had to do. But then along came Anne…. with cuttings from her garden, sample pkts, various seeds and a whole lot of GOOD ADVICE. Anne gave me very clear and simple ideas about how to achieve a productive garden, keep up a regular supply of fresh greens and protein for my beautiful girls (chickens) along with sound gardening principles to increase yields. As we rambled through the garden Anne referred to plants as “babies” “teenagers” and “mothers” and then the penny dropped and it just made a whole lot of sense. Thanks to Anne, that “overwhelming feeling” has disappeared and all I want to do now is begin the journey and watch my garden grow more beautiful as it grows older. We are new to gardening edible crops and unfortunately were having little success. We started to think, why bother! The planning and planting of our garden was done by a landscaper but we didn’t have the knowledge to improve it and didn’t realise the soil was of poor quality. Anne’s one hour consult was very informative and educational. She tested the soil and gave us great advice and a comprehensive plan to move forward. We have some confidence now to put the plan into action and feel we will see some success. 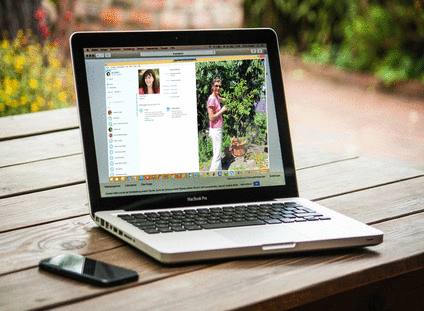 Anne’s plan is easy to follow but if we have any queries she is quick to reply to emails. I’m certain we will see huge benefits from her visit, we are beginning to see some already. My daughter Karla, and I shared the cost of a consultation with Anne. We had been experimental gardeners for 5 years – a polite way of saying we were trying all sorts of plantings, feeding and areas of the garden to see how things shaped up or were just more compost. It has been an excellent decision! Not only did we have an experienced LOCAL person assessing our garden, but Anne is so knowledgeable and it was just such a pleasure to be able to ask questions face-to-face. I so enjoyed Anne’s presentation at the Caloundra Library the month before and felt it was time to be more organized in the garden. Anne is so encouraging of what we had done well, it made me feel I could tackle some more ideas and keep having vegetables and fruit producing meanwhile. Thanks Anne – I so enjoyed our consultation and look forward to our Stage 2 review. Anne is passionate about this work and has a vast amount of knowledge. In one hour, Karen and I now have a plan to see us through the next few years. Great value for money and we intend on getting Anne out again once we implement our first stage. Having recently downsized, Anne’s consultation in my own home has given me the necessary tools and confidence to plan, build and maintain my own gardens and create an outdoor sanctuary. Anne has a wealth of knowledge and experience and she certainly offers an invaluable personalized service. Anne my garden thanks you and I thank you for your loving kindness and the special gifts you bring. Terrie thank you for your feedback – you’re such a special person and so grateful we met. It’s an absolute joy and honour to help you and Greg create low-maintenance, highly productive gardens you both love. I know the importance of having a special sanctuary place to heal and nourish the soul and your Atrium garden is going to be even more beautiful. I think you’ll put your own creative stamp on it! I look forward to sharing your journey as you put the plan into action over time. Celebrate every step forward, enjoy each new improvement and learn as you go. You’ve already made great progress and I’m so proud of you as a plant ‘mama!’ You will both end up with an even more beautiful space to enjoy and one that feeds you while at home and on your travels. See you soon. My wife and I engaged Anne for an “onsite- garden consultation.” We were very impressed by Anne’s knowledge and the detailed assessment she provided, both in person and in writing. The tailored report we received represented great value for money and we have since adopted many of the suggestions provided. I would highly recommend Anne’s service to anyone with an interest in improving their garden and its productivity. I, too, heard Anne talk at the Nambour Garden Expo and quickly realised that she is a very knowledgeable gardener who could translate her experience into a very practical and workable partnership with ‘me and my vegies’. Furthermore, she is a delightful person whose enthusiasm for gardening can only encourage you … greatly! I am so pleased I had Anne visit my garden and I certainly learnt a lot from her. What I learnt was specific to my situation and my vegie garden and what was especially helpful was the detailed, written report I received after her visit. There is so much to take in when you are talking with Anne so having the report has really helped me focus in on what I needed to do … and I have done most of it! I feel that my gardening journey/outcome has taken a ‘quantum leap’ because of Anne’s input and I can only highly recommend any opportunity to interact with, and learn from, her. Thanks for your feedback Annette. Loved helping you both fine tune your garden to create a highly productive space and design in elements to work with nature. You’re doing an awesome job and creating a garden to be proud of. Best of all, you’re growing good health! I had moved from a cold growing area to subtropical growing area a couple of years ago. Obviously found growing fruit and veges quite different with some success in some areas but not others. I needed help but couldn’t find anyone that was able to. Then along came Anne. Anne was wonderful, she spent a considerable amount of time with me advising what I could do where on my 5 acres. My main priority being to provide enough fruit and vege for ourselves throughout the year. Anne gave me a lot of valuable information on the day and in a written report. Anne not only answered questions, gave advice and ongoing tasks but also where I could source local products etc I definitely recommend Anne and will be having ongoing consultations with her. Karen you are creating an amazingly productive urban oasis. It’s a privilege to play a role in helping you maximise your design elements, position plants where they will benefit you most and create the least work for you. You have an incredible property and are well on the way to self-sufficiency. You can be proud of your efforts to date and your gardens will go from strength to strength, providing you with an even greater abundance and good health. I look forward to walking with you on this journey. See you soon! Anne provides a thorough and professional service that has exceeded our expectations on all levels. Anne conducted a site visit at our home and completed a comprehensive report afterwards. Anne has gone above and beyond and her enthusiasm and passion for gardening is contagious. We recommend Anne’s services without hesitation and look forward to working with her on an ongoing basis to assist us to turn our property into a beautiful edible garden. 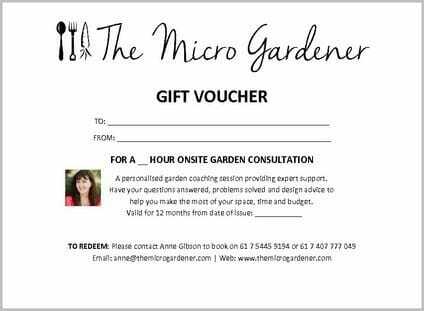 I've already recommended The Micro Gardener to 3 of my friends, and my consultation was just last week! Get some help when you are starting out. Anne was wonderful. Very knowledgeable and just what I, the ultra amateur gardener needed. I would highly recommend one of her consultations to anyone starting out on their gardening journey. My style before Anne came along was very much trial and error and almost as many errors as trials. I have direction and focus now. I know what I need to do. It’s only a week since my consultation but the garden has already improved. I am very much looking forward to implementing more recommendations over the next few months and enjoying the benefits. Thank you SO much for the privilege of helping you Prue. I really enjoyed co-creating your vision, clarifying and simplifying goals for the year ahead and helping you make the most of the plants and garden design you already have in place. You already have the ground work done and some amazing opportunities and I’m genuinely excited for you and the new projects. 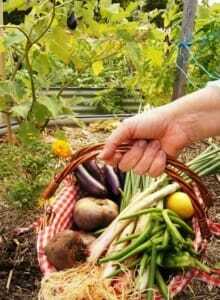 I am so looking forward to seeing the results and even greater abundance from your garden. Absolutely Recommend an Onsite Garden Consultation with Anne! I had Anne come to visit when I had just moved to an apartment with a balcony and a rooftop. After meeting her previously and browsing her website I knew she, The Micro Gardener, would be perfect to help me plan some green living areas and herb/vegetable gardens to suit my areas. We live on the Ocean front so are exposed to strong winds, salt, and full sun. Anne listened to my ideas, understood that this was to be a work in progress as we were barely moved in, doing renovations etc so there was no pressure , just helpful advice.. Anne’s subsequent report was extremely helpful and showed her wide knowledge. The addresses and links to local suppliers was great. The suggestions for plants to suit rooftop conditions were excellent, as were her ideas for outdoor design, colour and themes.Also important to me was the information on caring and maintenance of my existing plants and for future planning. I have purchased a bokashi compostor, on her recommendation, perfect for apartments! I have begun to work on areas of the rooftop, planting screen plants that will withstand the conditions, the beginnings of a ‘display’of aloes and my raised garden bed and vertical herb garden are going well. I refer back to Anne’s report and the information sheets and planting guides regularly and love getting her newsletter. A helpful and Inspiring experience! Thanks so much for sharing your experience and feedback on your consultation. Your views inspired me with lots of creative ideas! Great to know the recommendations in the report and resource list have been helpful in your design and implementation. Congratulations on all you’ve done so far. Looking forward to catching up again soon and seeing the ‘During’ and ‘After’ results Lynda. I met Anne at a class at our local community garden. 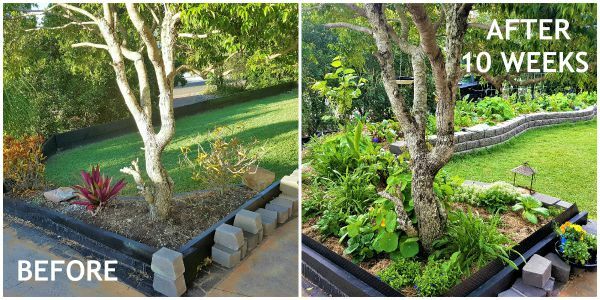 Having just completed a new home with a blank canvas when it came to the garden, I was keen to get the mix and placement of our garden beds right from the outset. Anne came up with a plan for the beds and where to plant edibles vs ornamentals, as well as helping with some valuable insight into soil health, and plant health, as the greatest tools to control pests naturally. What a bonus when she arrived for our consultation with a basket full of cuttings to get started with. She has stayed in touch answering my questions and even came back for a health check with still more goodies to plant. The garden certainly doesn’t look like it’s only 11 months old. Thanks Anne – your knowledge and shared love of my garden fetish has been invaluable. Thank you so much for your feedback. It’s been a pleasure and a privilege working with you and seeing your very young new garden thrive and grow so quickly. The front garden is a great example of how you can enjoy both ornamentals and edibles in a small space and limited sunlight. You’re doing an amazing job with your containers and raised beds and I know you will continue to reap an even greater abundance of fruit, herbs and vegetables in coming months as plants mature. I hope all goes well for the engagement party and I’m sure you’ll have lots of admirers of all the colour and productivity in your garden. Enjoy! Although I have been gardening for many years and my mother before me was a gardener, Anne helped me enormously with ideas on specific areas and specific problems with my site. What a wealth of information Anne is!! I LOVED the gifts Anne brings. Loved planting her plants! 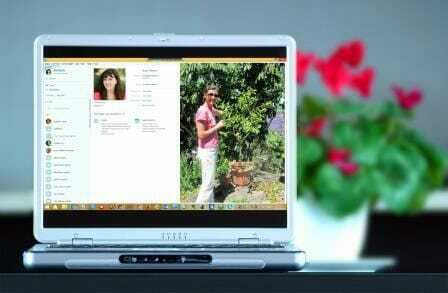 For someone like me already a gardener, Anne’s information was able to take my knowledge to another level! Details like the plant vetiver to plant around the creek. 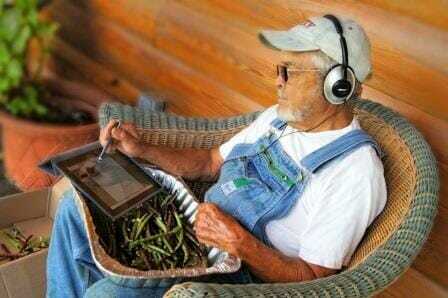 We can learn so much from the internet but to have someone come personally to your garden is such an inspiration. Thank you Anne so much. I asked Anne to come to advise me on my garden after I had attended a micro green workshop. She had impressed me with her knowledge, her friendly attitude and her ability to make her knowledge accessible. I was not disappointed. My in-home consultation provided valuable knowledge which shared principles for specific application, which I feel confident and able to incorporate. Anne gave me many ideas, offered support and encouragement. She has been generous with her knowledge and provided ongoing follow up. Her report is a valuable resource I can refer back to. She has provided me with resources to continue with implementing our garden plan. My garden has already benefited and I feel better informed to care for my garden and able to seek help again should I require it. Many thanks Anne! We booked a consultation with Anne as we had invested a lot of money and time into establishing our garden but felt we were not getting a good enough return. We had problems with pests, nutrient deficiencies and needed help and advice with addressing these issues and maximising our crops. Anne brought us some wonderful goodies and cuttings from her garden, and made sure to address all of our issues and concerns. Her follow up had fantastic detail and her recommendations and information sheets are absolutely invaluable. We are slowly implementing Anne’s recommendations into our garden and can already see good results, Anne provided us with a suppliers list so we know exactly where to purchase the things we need at the best prices. It is such a huge help having all of her experience and research documented into easy to follow information sheets. Anne has followed up with us twice since the appointment and genuinely wants to see people achieve their gardening goals. If you are considering an appointment with Anne, it is a very good investment. 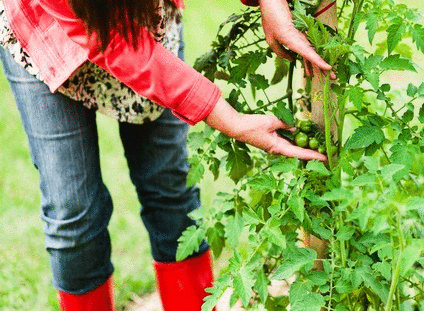 Her knowledge and passion for growing an abundance of healthy organic produce will inspire you! My one on one Consultation with Anne was so beneficial in many ways. I have an existing vegetable garden but wanted advice on growing better crops and was also interested in the micro greens. Since Anne’s visit the improvement in my garden has been amazing. I followed Anne’s tips and within a week my soil has improved, it is now moist and healthy. My seedlings are the healthiest l have ever had. Anne showed me how to make my own potting mix and how to use the natural resources l have on site to enrich the soil in my veg garden. I have planted my first batch of Microgreens which are already popping their heads through the soil. I understand so much more about sustaining a healthy garden. To watch how quickly my seedlings are growing is exciting. I would recommend Anne to anyone who wants to grow their knowledge in healthy organic gardening. Thanks SO much for the opportunity to help you in your gorgeous garden and build on what you already have growing. You’ve got such a great space to work with and it will only become even more beautiful and productive as you implement your plan. So glad you found the time together on site helpful and you are already watching it improve using moon gardening. My joy is seeing you get the results you want and more importantly, eating the healthy rewards! Living sustainably is so satisfying and I look forward to watching your garden blossom into a productive paradise to complement your lovely home. My husband and I moved to the Noosa area in August 2017. We had been keen gardeners back in Sydney but hadn’t a clue about subtropical plants or weather conditions. After attending a workshop with Anne Gibson (aka The Micro Gardener) at the Noosaville library, we decided to book an onsite garden consultation. Anne was helpful right from the start, sending us pre-visit forms to complete and asking for photos of our existing garden. Which meant by the time she arrived on our doorstep she had already done the ground work and knew the direction we were headed. Not only that but she bought along cuttings and produce from her own garden that were exactly what we aspired to grow! As we moved around the garden Anne made suggestions and recommendations. There was no need for us to take notes, as she promised all would be detailed in the Client Report & Action Plan she would email later that week. True to her word the report arrived, along with a list of local suppliers and a summary of edible & kitchen garden plants. We also purchased Anne’s Moon Calendar and Subtropical Planting Guide, both have proved to be invaluable assets. It’s been a couple of months since Anne’s initial visit and we are slowly working our way through her detailed Action Plan. The compost is underway, all cuttings are being recycled to aid soil improvement, a vertical garden has been installed and the cuttings she provided are healthy and strong. Anne has followed up with us several times via email, she has a genuine interest in seeing our garden flourish and we feel confident knowing she is available should we need advice down the track. After meeting Anne at a couple of public engagements and having enjoyed her newsletters and web information, I asked her to come to my home for a kitchen garden consultation. She came for a couple of hours and I would have loved to have kept her here all day. Anne has a broad knowledge and her advice is down to earth with sound reasoning. She helped me start my own soil mix and gave me information I’d asked for on container gardening, composting, crop rotation, pest management, seed raising and creating a worm farm. She suggested how I could intermingle other edible plants with my soon to be established tropic and flowering gardens and gave me information on where I could best access all the different gardening requirements. Over the past month my ‘garden babies’ are flourishing and I am growing in confidence thanks to Anne’s guidance and information in her post-visit report. It was lovely having time with Anne and I know I will continue to consult with her as I continue the cycle from ‘teeny paddock to plate’. Couldn’t be happier with the consultation we received from Anne. I believe she has saved us a lot of future heartache in our garden! It was also great value considering all the time and effort Anne put in both before, during and after the consult. Highly recommend!